by Cliff Painter Thursday, May 18th, 2017. Imagine never having to dial another phone number again. If you integrate your phone system with your CRM, this can become a reality with the click-to-call function the integration enables. 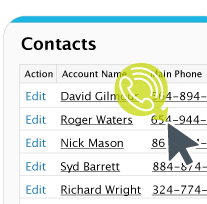 Being able to click on a contact’s phone number in your CRM and having it dial automatically can save you time and improve your performance. Just scroll over the number you want and click to immediately begin dialing that number. This means no more dial pads or having to switch over to a different interface and so you can dial. Though this is a simple feature, it will save you a lot of time when making phone calls. When you integrate your phone system with your CRM, all of your call history and data is saved without having to manually input anything—which is another time saver. It allows you to keep better records and manage your leads more efficiently. 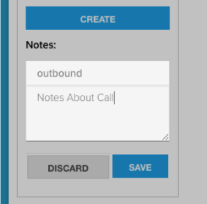 Additionally, you can take notes directly in your CRM with each call. You can also summarize your discussion with leads and opportunities to remind you where you left off the next time you speak with them. This helps improve how you manage relationships and educate your leads on the products or services your company offers. 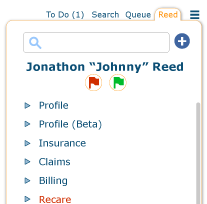 Integrations will help employees with organization and improve their ability to manage tasks more efficiently. This is possible by enabling inbound call notifications, new window pop-ups for each call, and automatic call matching to the appropriate account. Here’s an example of the kind of notification/pop-up you can expect with the integration. As you can see, having a different screen or tab in your CRM will help you manage your tasks and the people you talk with. No longer will you have to take notes on a piece of paper or have several windows open on your computer, because you will be able to directly input important details and note into your CRM. This makes it easier to do more things at once using a single platform, rather than having to use multiple platforms to do multiple tasks. Jive Voice integrates with several CRMs and web browsers; among them are Chrome, Zoho, and Salesforce. By integrating your Jive Hosted VoIP phone system with your software of choice, you can access the power of your Jive phone system within the software you use at your company. This streamlines everything you do because your phone and your other software products function as a single cohesive unit. Learn more about Jive Integrations today.